The benefits of choosing a homeschool education extend beyond taking ownership over your own education, it allows you to cultivate a healthy lifestyle. 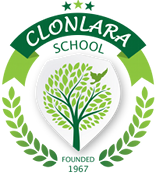 Clonlara homeschool students have the flexibility to schedule learning around their needs, though, even with this flexibility, it can still be difficult to get the right amount of sleep. There has been a lot of buzz, including this TED talk about teens getting enough sleep and a push for later school start times in traditional education, and for good reason. We are going to take a closer look at the science behind teen’s sleep needs and what you need to know as a homeschooler to be proactive about catching your Zzz’s. Teenage brains require 9.5 to 10 hours of sleep, slightly more than children and adults. The cause for this, according to Johns Hopkins pediatrician Michael Crocetti, M.D., is to account for teenage growth spurts along with solidifying newly learned information and supporting the immune system. Falling short of a full night’s sleep can not only put you in a poor mood and make you look terrible, it also can put you at risk of getting sick, depressed, or even be fatal when you get behind the wheel, just to name a few. Even with these serious repercussions, teens rarely get the sleep they need. Staying up late doing homework, watching “just one more” episode on Netflix, scrolling social media, or catching up with friends, quickly diminishes precious hours of sleep. Such activities also keep your brain in an alert state, making it difficult to fall asleep. In order to ensure you are getting enough sleep, it is essential to be aware of what it means to have good sleep hygiene. No Screens! This is where most people don’t realize how hard they are making it for themselves to get quality sleep. The light from the screen tells your brain to not produce natural melatonin (the hormone that makes you sleepy) and instead that it is time to be awake and alert. At the end of the day, instead of lying in bed and scrolling social media, choose to read a light novel or do a calming activity until you get sleepy and then go to your bed. Only use your bed for sleeping. Not watching a movie, not eating a snack, not doing homework, just sleep. This is called stimulus control and prevents you from linking the need to be awake and alert to your bed, a place of peace and rest. Skip the nap. Taking naps throughout the day make it hard to fall asleep at night. If you must nap, keep it short (about 20 minutes). Avoid caffeine after noon. Depending on your sensitivity, you might need to adjust that time, perhaps avoid caffeine altogether. Do the math, set a schedule and stick to it. If you need 10 hours of sleep to feel good, what time do you need to go to sleep in order to get up at 7am? (Answer: 9:00 pm). Sticking to a schedule allows your body to get in a healthy sleep rhythm. Keep your routine even on the weekend. Don’t eat, drink, or exercise 2-3 hours before bed.